To calculate the Earned Value, all the following activities must be performed in your project plan. Earned value calculations are based on following factors. To get the accurate EV numbers, you need to specify the below three settings on MS Project Plan. Status Date: Status date may be current date, a date in the past, or a date in the future. 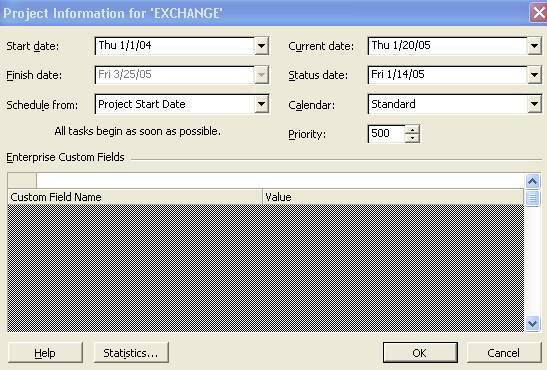 Setting the status date to the date you last updated project progress is always the best practice. Baseline Number: If you have multiple baselines saved for your project, you have a option to specify which baseline that you want to consider for EV Calculations. % Complete vs. Physical % Complete: Percent Complete is a calculation field and MS project calculates the value based on actual work and duration that you entered. 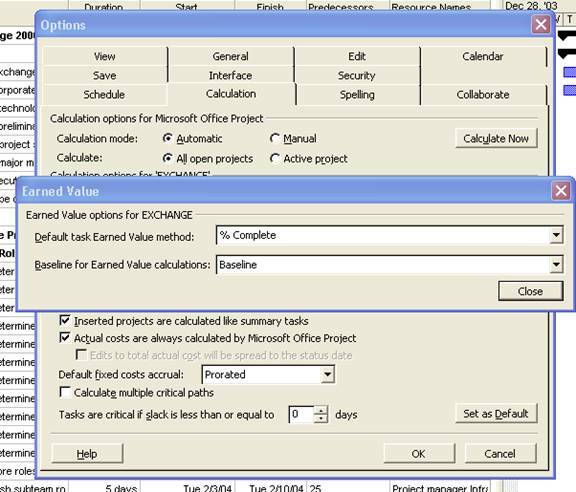 Also if you enter directly the Percent Complete value, MS Project calculates the Actual and Remaining Duration for the task. Physical Percent Complete is always entered directly by you. MS Project will not calculate the value for this column. Use physical percent complete when Percent Complete would not be an accurate measure of actual work and cost information.